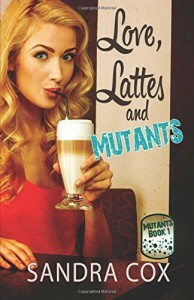 Love, Latte and Mutants was such a fun read! Perfect for a sunny afternoon on the deck. I'm not entirely sure how I'd classify it: maybe YA sci-fi meets paranormal meets romance. I loved the characters-- all of them, even the bully. The villain scientist made my skin crawl. I sure hope Ms. Cox is working on a sequel. It would be nice to know what happened to a couple of the characters. Sorry can't explain further-- spoilers. I really liked main character Piper. 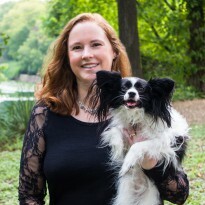 Strong, loyal, sweet, she was an instant hit with me. Being born a mutant, she was forced to hide herself in glasses and baggy clothes in an attempt to remain unnoticed. I loved the scenes where she was in the ocean, and she can finally be herself. Romantic interest Tyler was really too good to be true. Perfect, well other than his insecure streak whenever Piper wanted to hide their relationship. Just a great book boyfriend. The story was fast-paced, with a slight lull in the middle. But once I reached the 3/4 mark, I couldn't read fast enough to satisfy my curiosity. So much happened in that last 1/4 of the novel. Mainly I'm dying for more information. I felt like the entire section when she was a prisoner at the lab was a tad rushed. I found this part to be the most interesting part of the novel.On the plus side, it left me wanting more. There's a bit of a love triangle once Joel is introduced. But since he was a resident at the secret lab, he wasn't in the story for very long. I could understand why Piper would be drawn to Joel, since he was like her and she didn't have to hide. But her instant attraction to him was somewhat annoying. Overall I really enjoyed Love, Latte and Mutants. The characters were well-written and fun to read about, and the story will leave the reader wanting more.